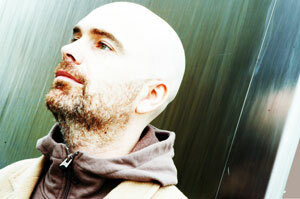 Tim Saul is a Music Producer, Soundtrack Composer, Songwriter, Re-mixer & Sound Designer currently living in London. He has one foot in both the artistic and the media worlds. Music for Media Clients include: Academy Awards/Oscars, Qualcomm, Lexus, Levi’s, Saatchi and Saatchi, BBC, Canal +, Standard Music Library, BFI, Channel4, BBC, Koka Media, Holocaust Memorial Day Trust, Chocolate Films, TF1, France Inter, France Culture. Artists collaborated with include: Earthling, Portishead, Geoff Barrow, Julee Cruise, Ray Manzarek, Stephanie McKay, Intik, Mozella, Rhett Brewer, Kid Loco, Piano Magic. Raised on a sonic diet of experimentation, his background is in Beats, Soundtracks and Atmospheric moods, mixed with the melodic beauty of haunted tales.